featuring RTSY Senior Youth Group. Mixing traditional worship with an enlightened, modern approach, Temple Rodeph Torah welcomes families throughout central New Jersey, serving Marlboro, Morganville, Freehold, Manalapan and towns throughout Monmouth county. share a new, exciting Jewish experience. 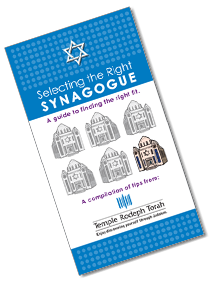 Get a FREE copy of the booklet “How to Select a Synagogue”. Learn about the key factors you should consider when choosing a Jewish congregation. Packed with useful questions to ask yourself, this booklet is FREE and available online. Combined social, educational, religious and social action programs to create opportunities for the synagogue’s children to create lasting friendships. Read about our community, e-learning, and words from our Rabbi, Cantor, Rabbinic Associate, Educator, and President. 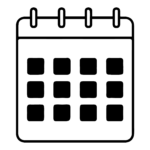 Take a look at different events, occasions, and ‘happenings’ here at our synagogue. Our Mitzvah Day celebrations, Tikkun Olam, simchas and special occasions! Helping Hands, is a group of trained volunteers who are committed to providing help and support to individuals and families in our temple community who are experiencing life changing medical and/or crises. Got questions about Judaism? Got friends with questions? Do you want ideas on how to live your Jewish life in your everyday reality? Or, maybe you are looking for a noodle kugel recipe that tastes like your grandmother’s. Check out reformjudaism.org.